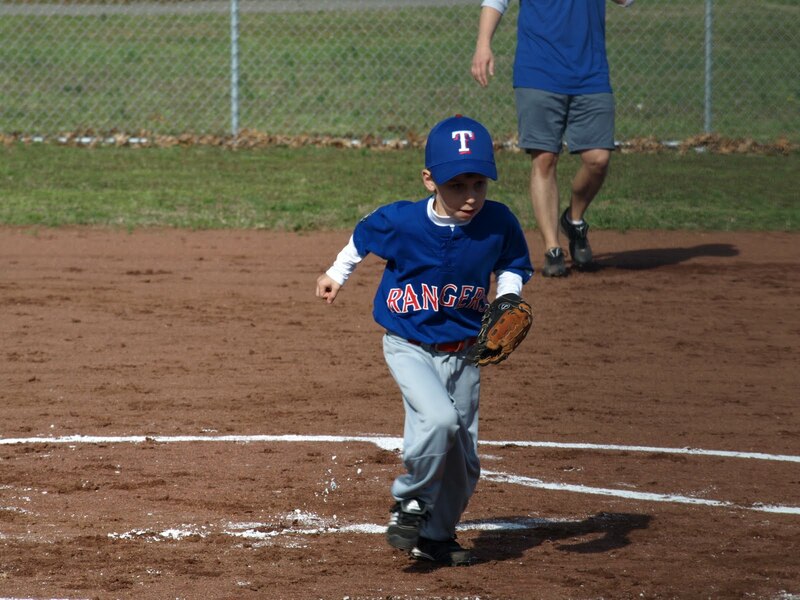 This morning Carter had his first baseball game of the season. It was a great day for a game! Seth and Ethan were thrilled to be there and played during the entire game. They did stop to watch the game for a few minutes. 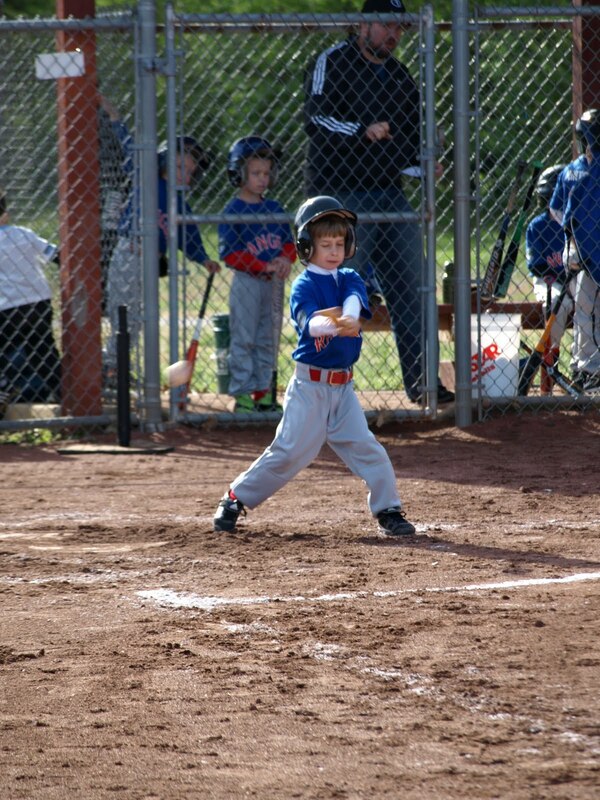 Carter got 3 hits and got on base twice. 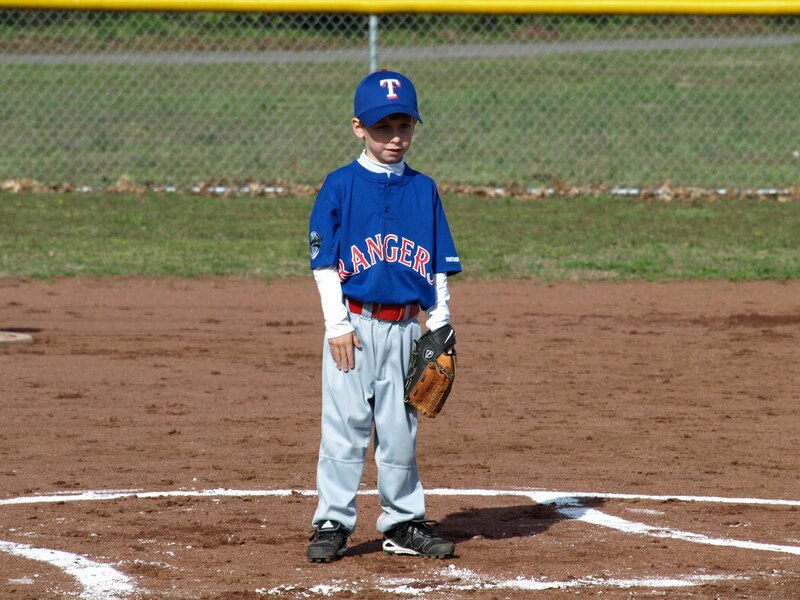 He played on the pitchers mound while we were on defense and got a few people out. He was thrilled! Zach loves coaching the team and does such a good job. 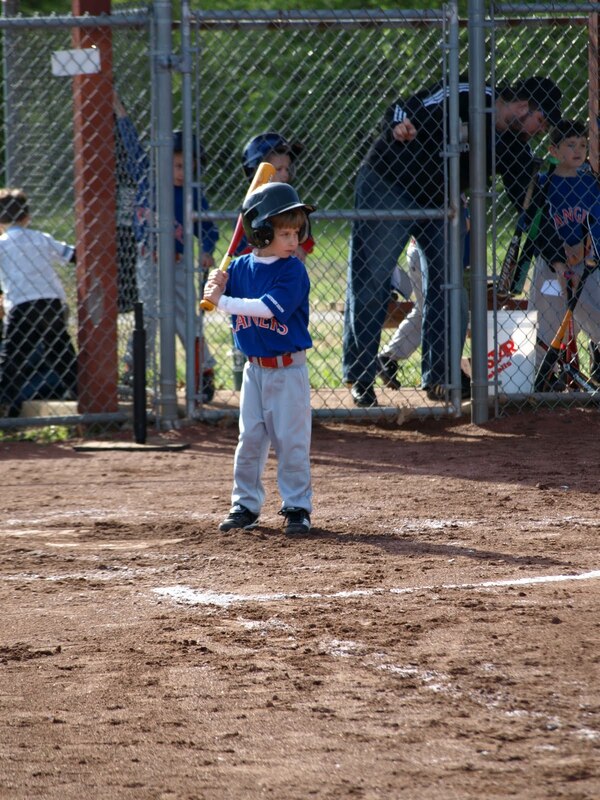 We are looking forward to many more seasons of baseball! Zach has let Carter pick our team name the last two years. 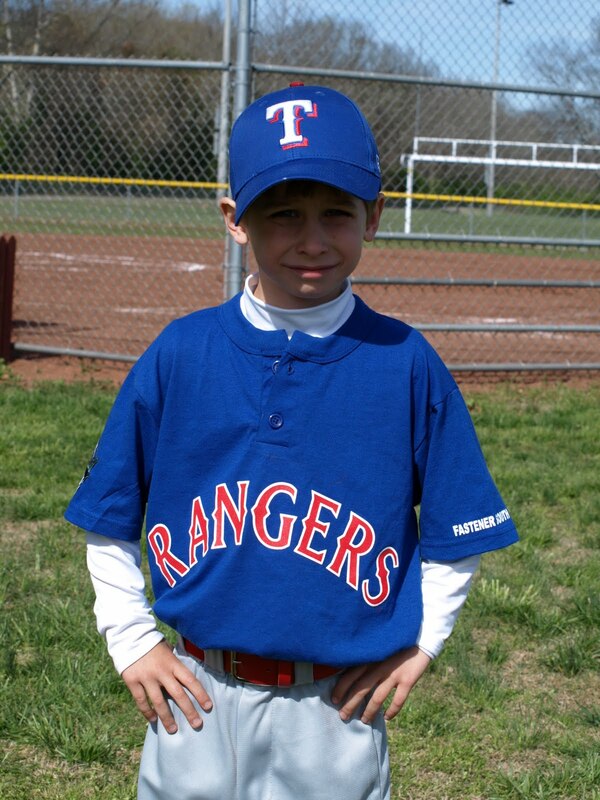 Last year was the cardinals and this year the Rangers. 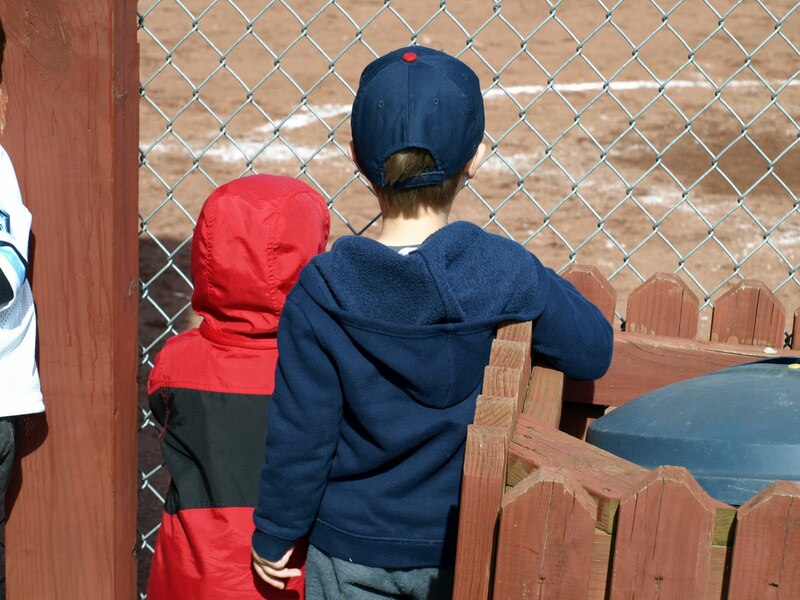 They did stop to watch Carter hit and run the bases.